We bring you ENHANCED ARSENAL’S WARLORD!!!! 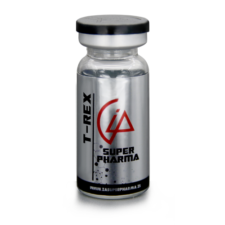 IA Superpharma’s newest, biggest product release! Enhanced Arsenal WARLORD! 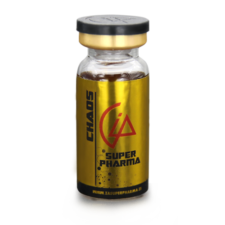 – blending 50mg of Trenbolone Base, 50mg of Testosterone Base, 50mg of Oxymetholone, 10mg of Methyltrienolone and 10mg of Halotestin (per 1ml) to bring you a 170mg per ml shot of pure evil! Become the GOD OF WAR in the temple of iron. The MEG/PEG/GLYCOL blend as a carrier agent offers exceptionally fast delivery of the hormone to the blood stream given the glucol’s identical solubility with water. Glycol has also been shown to promote site enhancement in specific muscles injected prior to working out. Injecting with a 1/2 inch needle into the target muscle group 1 hour before training exhibits a visible enhancement to the size and shape of the muscle for up to 7 days. Bulk oil orders (250ml and up) are packed in sterile aluminium canisters. 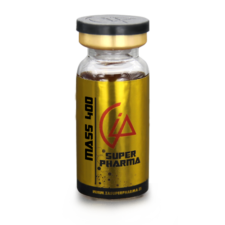 View IA Superpharma International all product range by visiting our Shop Page. 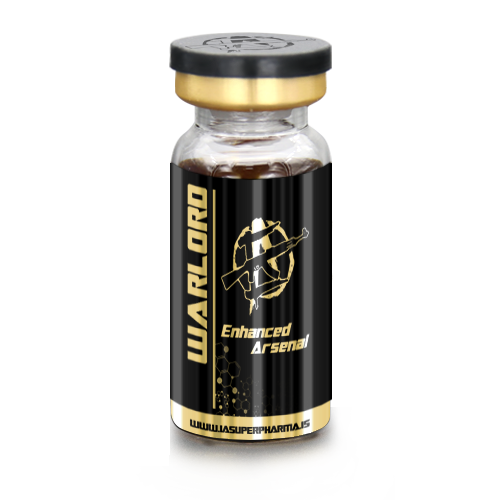 Average Cycle Length: Indefinite, ongoing and as required since most users will take WARLORD as a pre workout shot before each training session. Regular blood tests are recommended if running WARLORD for extended periods of time. This product may crystalize and require reheating before each injection. Small yellow/red ‘bubbles’ of crystalized hormone may appear at the collar of the vial or leave a yellow film at the bottom of the vial. This is a perfectly normal occurrence and does not effect the product quality, please follow our user guide on how to rescue crashed gear. Before placing your order, visit IA Superpharma’s FAQ’s Page to read information about shipping, stealth shipping, express mail eligible countries and ordering & payment to have a better understand on how the transaction will proceed. a. Prepubertal: Phallic enlargement and increased frequency of erections. b. Postpubertal: Inhibition of testicular function, testicular atrophy and oligospermia, impotence, chronic priapism, epididymitis and bladder irritability. Increased or decreased libido.